Book Amanda Sloat as a keynote speaker. 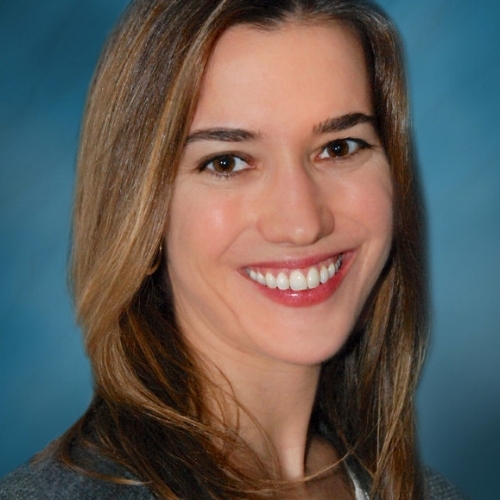 Dr. Amanda Sloat is a leading U.S.-based foreign policy expert, specialising in trans-Atlantic relations, Turkey, Southern Europe, EU foreign policy and British politics. She served in the U.S. government for nearly a decade. Most recently she was deputy assistant secretary for Southern Europe and Eastern Mediterranean Affairs at the State Department, where she was responsible for U.S. relations with Cyprus, Greece, and Turkey as well as for coordinating European engagement on Middle East issues. For more information on Geopolitics speaker Amanda Sloat, contact VBQ Speakers founding agent Leo von Bülow-Quirk on leo@vbqspeakers.com or 0044 7833 727090. Dr. Amanda Sloat is a leading U.S.-based foreign policy expert, specialising in trans-Atlantic relations, Turkey, Southern Europe, EU foreign policy and British politics. She served in the U.S. government for nearly a decade. Most recently she was deputy assistant secretary for Southern Europe and Eastern Mediterranean Affairs at the State Department, where she was responsible for U.S. relations with Cyprus, Greece, and Turkey as well as for coordinating European engagement on Middle East issues. She also served as senior advisor to the White House coordinator for the Middle East, North Africa and Gulf region and as senior advisor to the assistant secretary of state for European and Eurasian affairs. She previously worked as senior professional staff on the U.S. House of Representatives Foreign Affairs Committee, with responsibility for European policy. Since leaving government, she has taken a position as Robert Bosch senior fellow in the Center on the United States and Europe at the Brookings Institution, the world's top-rated foreign policy think tank. She is also a nonresident fellow in the Project on Europe and the Transatlantic Relationship in the Belfer Center for Science and International Affairs at Harvard Kennedy School. Prior to her government service, Amanda was a senior program officer with the National Democratic Institute, including work in Iraq with the Council of Representatives. She was also a post-doctoral research fellow with the Institute of Governance at Queen's University Belfast. During this time, she held visiting fellowships at the Academy of Sciences in the Czech Republic, United Nations Research Institute for Social Development, and the Jean Monnet Center at New York University Law School. She also served as a special advisor to the Scottish Parliament, Northern Ireland Assembly, and European Commission. Amanda holds a doctorate in politics from the University of Edinburgh and a bachelor's in political theory from James Madison College at Michigan State University. She has published a book, "Scotland in Europe: A Study of Multi-Level Governance" (Peter Lang Pub Inc, 2002) and has written widely on European politics in academic and foreign policy outlets. Amanda's expertise covers some of the most important contemporary geopolitical issues, from the Syrian crisis, Turkish foreign policy and Russian involvement in the Middle East to the refugee crisis and an EU reeling in the wake of Brexit. Crucially, through her years of experience at top levels of U.S. government, she can provide insights on the lens through which America views these issues, and the possible forms U.S. policy will take.